Help fight breast cancer all year long! You can start your own fundraiser or help raise funds for breast cancer by taking part one of the several year-round fundraisers listed below. These fundraisers benefit the Virginia Blue Ridge Affiliate of Susan G. Komen! Local artist Maria Osorio Driscoll has created special breast cancer prints and note cards, titled ‘Promise Mountain’ that can be purchased all year long! Note cards come in a set of 8 and include the cards, envelopes, and packaging set all for $12.50. You can also purchase the 8X10 print for $38.00 or 11X14 print for $48.00. 50% of the proceeds will be donated to Virginia Blue Ridge! If interested in purchasing, please email info@komenvablueridge.org, call 540-400-8222! Notes and cards will also be sold at various Komen events. 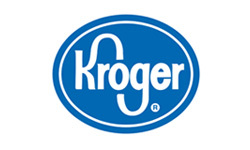 Swipe your Kroger Plus Card to benefit the Virginia Blue Ridge Affiliate. The charity code is: 93929 Click here to learn more. For every gallon of propane dispensed from the specially painted tank trucks, Dixie Gas will donate one cent to Komen Virginia Blue Ridge. Since June 2010, Dixie Gas & Oil Corporation has donated over $30,000 to the Virginia Blue Ridge Affiliate. Amazon will donate 0.5% of your purchase to the Virginia Blue Ridge Affiliate. All you do is start your Amazon shopping by clicking here!